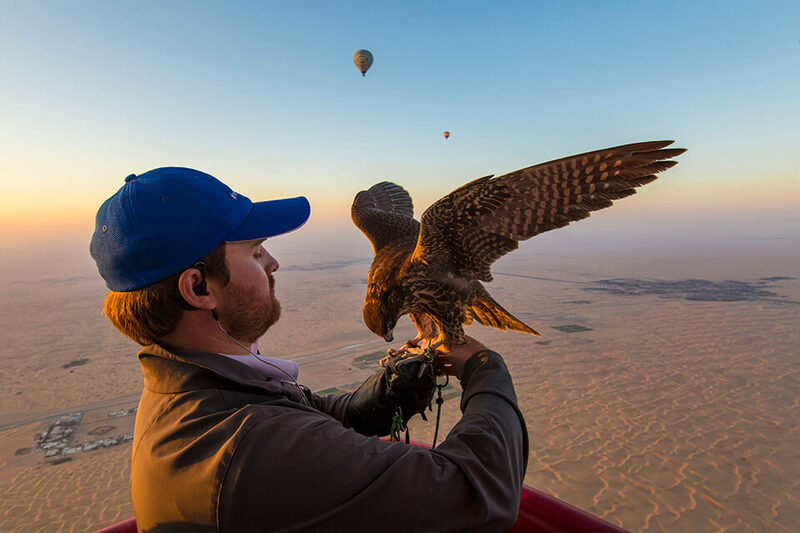 Hot Air Ballooning in Dubai with Balloon Adventures just became even more unique and iconic to Dubai. We have added a brand-new Hot Air Balloon to our growing fleet of the largest balloons in the world. 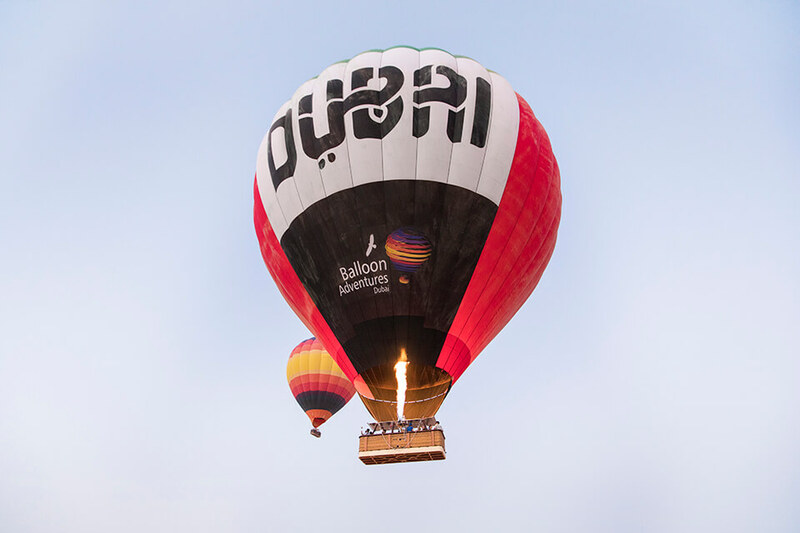 What makes this balloon extra special is that it is the first and only Dubai-branded Hot Air Balloon in the UAE! It’s green, red, black and white colours reflect the colours of the UAE flag and it’s branding resembles Dubai’s Department of Tourism and Commerce Marketing’s logo. 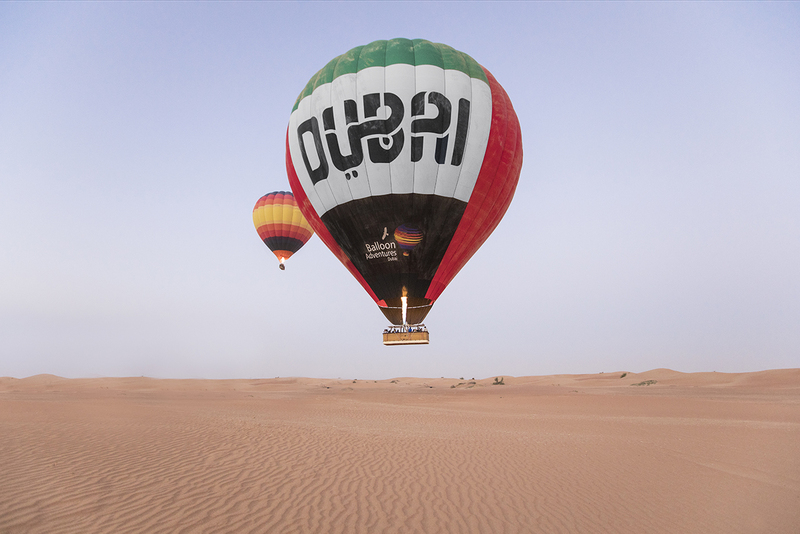 As the pioneers of Hot Air Ballooning in the UAE, we wanted to create a balloon envelope dedicated to Dubai. Floating over the golden sand dunes during sunrise is a spectacular way to experience the desert. 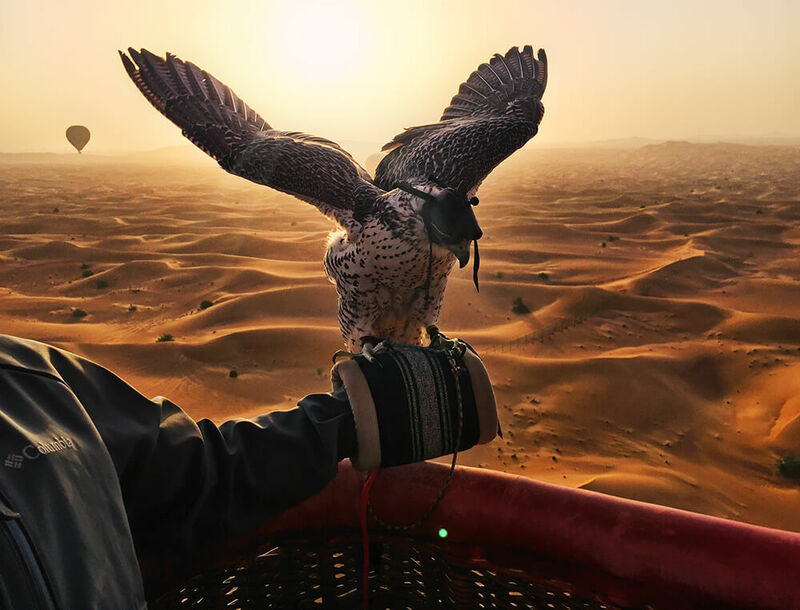 The world’s only in-flight falcon show is a truly unique opportunity to admire the majestic national bird of the UAE, the Peregrine falcon in action. Specialised falcons go up with all our Hot Air Balloons, and at 4,000ft they are released to swoop and circle the balloon baskets. This unforgettable experience is the true reflection of actually flying with falcons! As of last week, this experience is now even better. 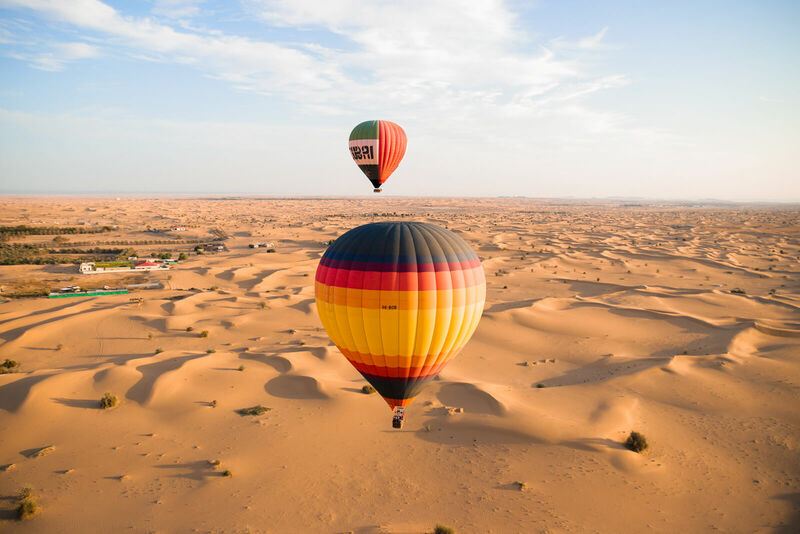 You can get the chance to witness the world’s-only Dubai Hot Air Balloon floating over the desert, or even fly in the balloon basket itself. This takes your travel photos of Dubai to a whole new level! 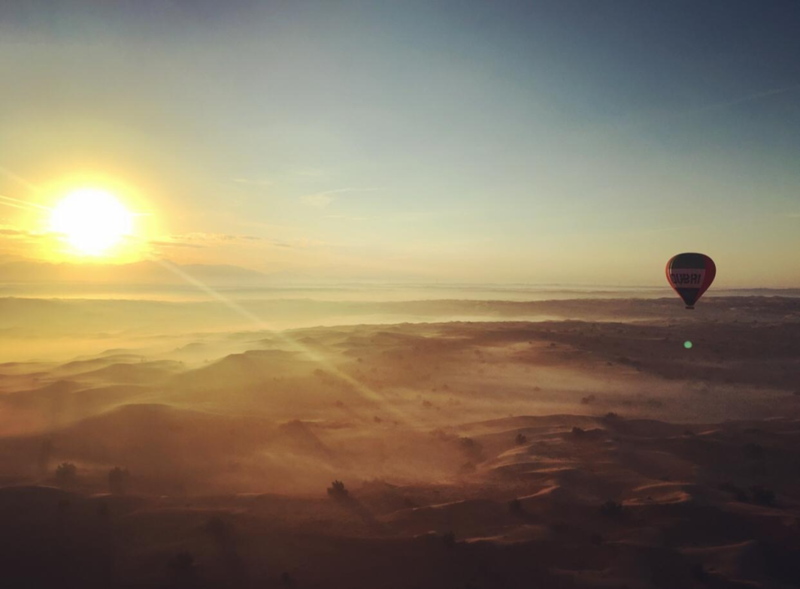 Our new Hot Air Balloon took its first commercial flight last week, and what a beautiful morning it was for our special edition’s debut over the desert. We look forward to flying many more happy travellers over the desert in the hottest Hot Air Balloon in Dubai! Welcome to our balloon family Dubai Hot Air Balloon. Come float with us over the Dubai desert. Get a glimpse of the tour itinerary and book online 7 days in advance to get a free limited-edition Balloon Adventure T-shirt or cap for you or a friend. Take a slightly different type of souvenir back home!